Oak dressing room with an earth oil finish to give a silver appearance. 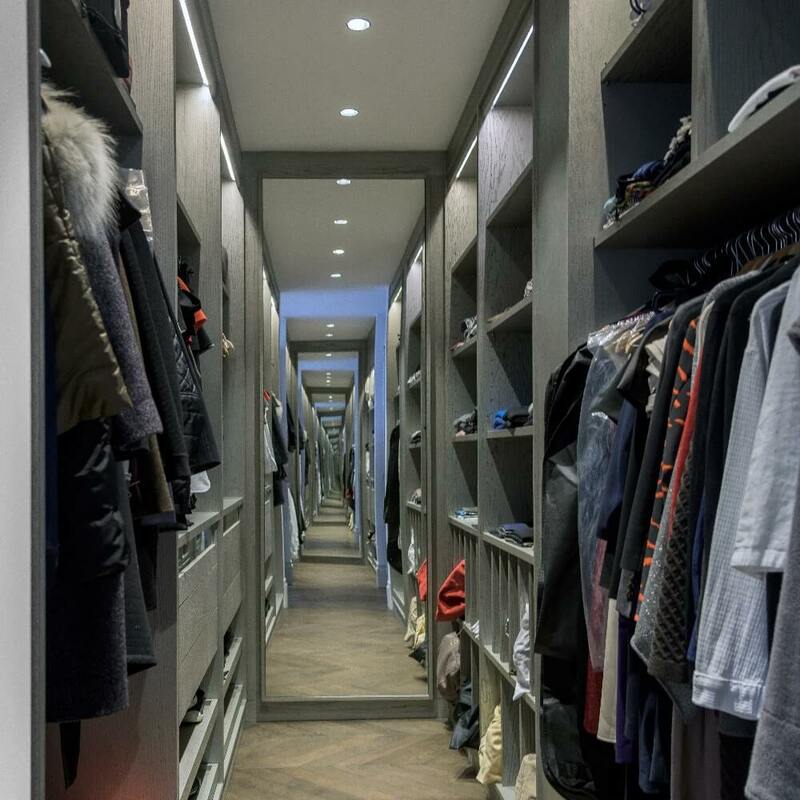 Features glass fronted top drawers, roll out shoe shelves, handbag compartments and double hanging rails. Every cabinet has internal lighting. Bedroom furniture can enhance a décor by being painted to compliment a chosen colour scheme. It can also be designed to fit in with a theme. 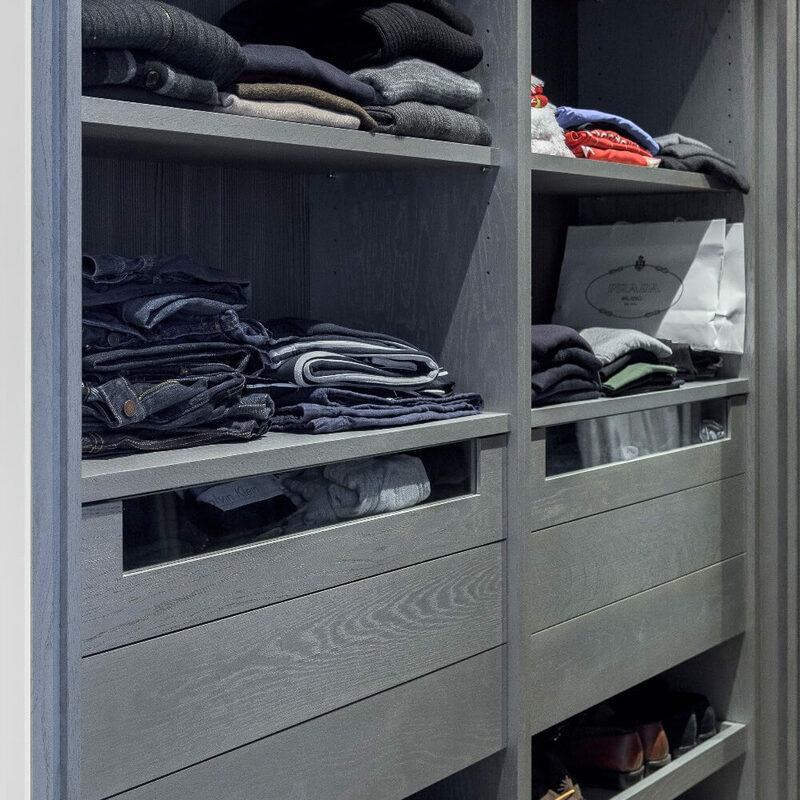 Our expert team will help turn your ideas into bespoke bedroom furniture and suggest lots of ways to create storage space.